This tour takes you east of the capital into the depths of the Baga Khentii Mountains with astonishing views and landscapes. The mountains lie within the bounds of the Gorkhi Terelj National Park which is a sheer paradise for those who love nature with an abundance of wild flowers and beautiful scenery into Khustai National Park where you’ll find yourself surrounded in most noteworthy greenery with grazing sheep and yaks accompanied by lone horsemen and white nomadic gers dotted all over the countryside, a unique and recognizable sight in Mongolian scenery and culture. 1 night Terelj National Park (Nomadic family guest ger), 1 night Khustai National Park (Khustai Natural Reserve tourist camp). 4WD transportation, driver, English speaking guide, all accommodations, meals nomadic family guest ger in Terelj National Park, entrance fees to Ariyabal Monastery, Chinggis Khan statue and Khustai National Park entrance fees. Meals and accommodation in Ulaanbaatar City, travel insurance, snacks, horse and camel riding. Meet your guide and driver at the lobby of your Hotel at 09:00AM. Your fantastic time spending in Mongolia will start at Khustai National Park where you will see the wildlife including Takhi horses. You will arrive to your tourist ger camp early afternoon, so visit information center and watch brief video about Khustai National Park and reintroduction of wild horses. After breakfast we will drive to Terelj National Park. 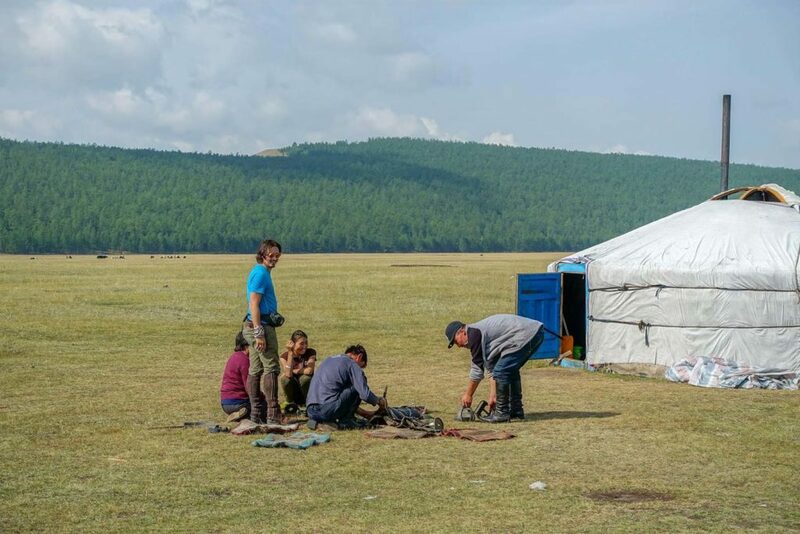 Arrive at tourist ger camp and settle into your comfortable Mongolian ger before lunch. Explore the valley with your guide, visiting a local nomad family, and hiking to the Aryabala meditation temple (or alternative area) offering a view of Terelj valley. Horse riding can be arranged with the local herdsman. Overnight at tourist ger camp. 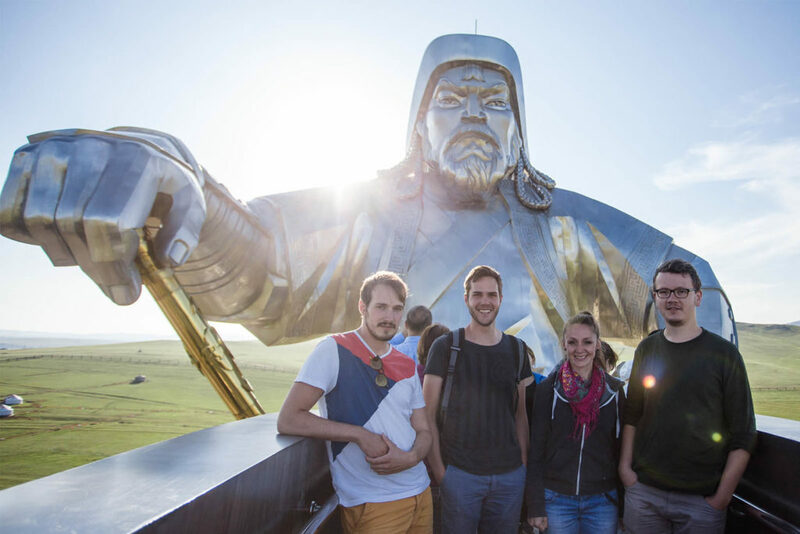 Early morning you will visit the Chinggis Khan monument visit museum on the first floor and go up to highest point of the statue to see National Park from the top. Finish the tour with your return to Ulaanbaatar 70km. Our section has been carefully compiled to help you prepare for your tour in the best possible way, to answer any questions you have, and to minimize any inconveniences you may experience on tour. Experienced travellers may already be familiar with many of the topics covered in this document, yet proper preparation is what transforms a good time into a fantastic time! In addition to familiarizing yourself with this information, please see our website, and view the most up to date tour itinerary. You should also read our terms & conditions carefully. We take great care to compile the latest information and update all of our documents regularly. However, Railway Mongolia LLC does not accept any liability for vehicle-related injuries or fatalities to the travelers occurring in the course of the tour. Your Railway Mongolia tour will bring you into contact with cultures and experience the vast array Mongolian traditional food. Your guide will be able to explain about food. In most places you will be eating meals provided by Nomadic family. Those with special dietary requirements may request for a guide who has cooking skills. Vegetarian lacto-ovo options (while limited) can be offered for all included meals, provided we are notified at time of booking. Being prepared will help you to adjust to this, but there will always be times when it is best to simply relax and go with the flow. Events will often move at their own pace and may occasionally be frustrating, but this is all part of your travel experience, and we will do our utmost to ensure you have an amazing once in a lifetime experience.